S.309. Whoever attempts to commit suicide and does any act towards the commission of such offence, shall be punished with simple imprisonment for a term which may extend to one year, or with fine, or with both. The constitutionality of section 309 of the Indian Penal Code, 1860 has been the subject matter of challenge several times before the Supreme Court and High Courts. In Maruti Shripati Dubal v. State of Maharashtra the Bombay High Court held that section 309, IPC is ultra vires the Constitution being violative of Articles 14 and 21 thereof and must be struck down. In P. Rathinam v. Union of India, Supreme Court also held that section 309, IPC violates Article 21. It is held that ‘section 309 of the Penal Code deserves to be effaced from the statute book to humanize our penal laws. It is a cruel and irrational provision, as it may result in punishing a person again (doubly) who has suffered agony and would be undergoing ignominy because of his failure to commit suicide. An act of suicide cannot be said to be against religion, morality or public policy, and an act of attempted suicide has no baneful effect on society. Further, suicide or attempt to commit it causes no harm to others, because of which State’s interference with the personal liberty of the concerned persons is not called for’. However a Constitution Bench of Supreme Court in Gian Kaur v. State of Punjab , overruled the decisions in Maruti Shripati Dubal and P.Rathinam , holding that Article 21 cannot be construed to include within it the ‘right to die’ as a part of the fundamental right guaranteed therein, and therefore, it cannot be said that section 309, IPC is violative of Article 21. It was in its 42nd report the Law Commission of India for the first time had recommended the repeal of Section 309. Clause 126 of the Indian Penal Code (Amendment) Bill, 1972,introduced in the Council of States on 11.12.1972, provided for the omission of section 309. It was stated in the ‘Notes on Clauses’ appended to the Bill that the said penal provision is harsh and unjustifiable, and that a person making an attempt to commit suicide deserves sympathy rather than punishment. Clause 131 of the Indian Penal Code (Amendment) Bill, 1978, as passed by the Council of States on 23.11.1978, correspondingly carried the above change. As the House of the People was dissolved in 1979, the Bill, though passed by the Council of States, lapsed. Suicide occurs in all ages. Life is a gift given by God and He alone can take it. Its premature termination cannot be approved by any society. But when a troubled individual tries to end his life, it would be cruel and irrational to visit him with punishment on his failure to die. It is his deep unhappiness which causes him to try to end his life. Attempt to suicide is more a manifestation of a diseased condition of mind deserving of treatment and care rather than punishment. It would not be just and fair to inflict additional legal punishment on a person who has already suffered agony and ignominy in his failure to commit suicide. The criminal law must not act with misplaced overzeal and it is only where it can prove to be apt and effective machinery to cure the intended evil that it should come into the picture. Section 309 of the Indian Penal Code provides double punishment for a person who has already got fed up with his own life and desires to end it. Section 309 is also a stumbling block in prevention of suicides and improving the access of medical care to those who have attempted suicide. It is unreasonable to inflict punishment upon a person who on account of family discord, destitution, loss of a dear relation or other cause of a like nature overcomes the instinct of self-preservation and decides to take his own life. In such a case, the unfortunate person deserves sympathy, counselling and appropriate treatment, and certainly not the prison. 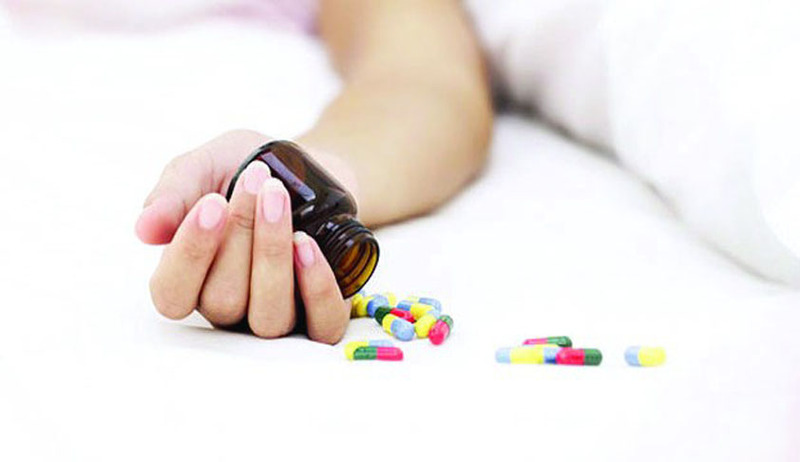 The Commission is of the view that while assisting or encouraging another person to (attempt to) commit suicide must not go unpunished, the offence of attempt to commit suicide under section 309 needs to be omitted from the Indian Penal Code. Though abetment to commit Suicide is an offence, abetment to attempt commit suicide is not specifically made an offence in the Penal Code. In Gian Kaur Supreme Court held that Abetment of attempt to commit suicide is outside the purview of Section 306 and it is punishable only under Section 309 and read with Section 107 I. P. C. But in Satvir Singh v. State of Punjab it is held that “it is possible to abet the commission of suicide. But nobody would abet a mere attempt to commit suicide. It would be preposterous if law could afford to penalise an abetment to the offence of mere attempt to commit suicide”. In Berlin P Thomas v.State [(2008 CrLJ 1759),] High Court of Kerala was of the view that “ to hold that a person can go on abetting commission of suicide, but his conduct will not be culpable if the offence of suicide proper is not committed, would certainly defeat the purpose of the law. Such ad absurdam construction must certainly be avoided, if possible”. With inputs from various Law Commission Reports and R & D Indian Penal Code [34th Ed] revised by Justice KT Thomas and M.A.Rashid.